UK Trade Envoy to Iran, Lord Norman Lamont said in an exclusive interview with Trade Finance Global that Trump’s sanctions are having a huge impact on global trade, causing a rise in geopolitical tensions which are potentially damaging to Britain’s ties with the US. 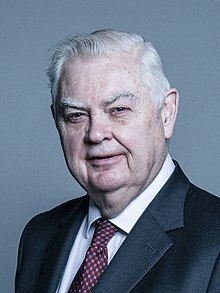 Lord Lamont, previously the Chancellor of the Exchequer in the John Major Government helped navigate Britain through a recession and it’s exit from the ERM. Starting business as an investment banker for Rothschild, he is now a director for two companies doing trade with Iran and Chairman of the British-Iranian Chamber of Commerce. Lord Lamont works with governments and private sector, trying to increase exports to Iran. Having said that, Iran is very different to many other countries and so the role of being an envoy for Iran is somewhat different: trade is at a very low level in Iran, possibly falling, and Iran is in the middle of a big political argument which involves sanctions, and therefore the trade issues are highly political. 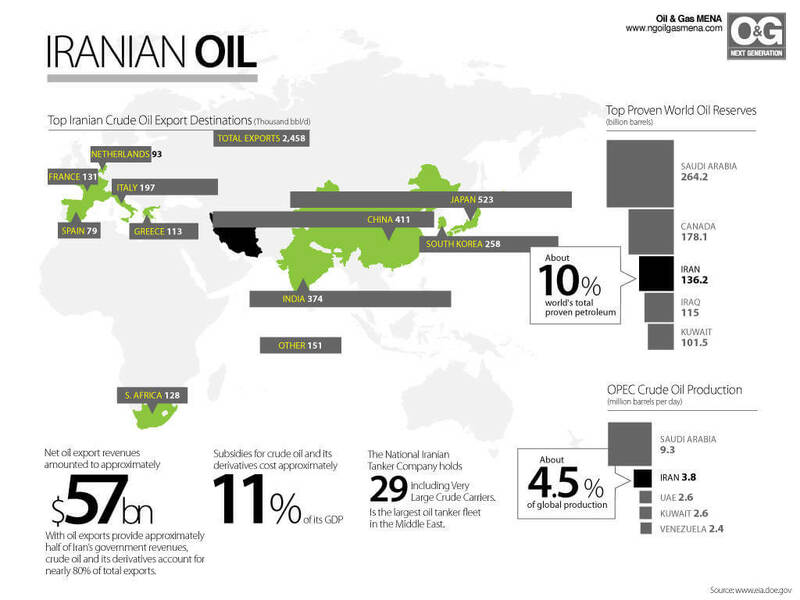 Promoting exports to Iran, why Iran, and what are the key challenges? In the past, my responsibility has been around explaining the potential of Iran; a population of around 80 million, the 2nd largest gas producer in the world, 4th largest for oil reserves, a large middle class and a highly educated population and stability. 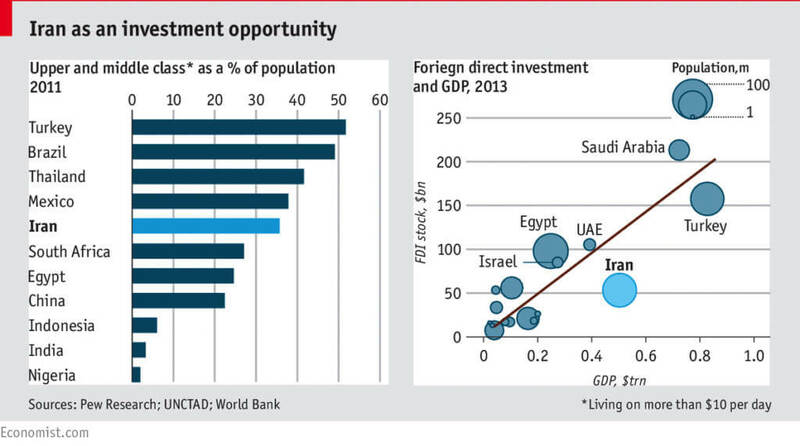 These factors have potentially made Iran a very attractive market. This was all on the assumption that the nuclear deal was accepted by everybody, which, for a short period of time, when Obama was elected, Iran fully complied with the agreement. Trump, however, has taken a different view and so now, the job of an envoy is completely different; trying to discourage companies from withdrawing from Iran, helping businesses navigate a world in which the world is imposing sanctions, and for Iran, payment is very difficult. Trump and JCPOA – What are the economic consequences for Iran? Can’t make payments through systems such as BACS. This was before President Trump came along. President Trump has come along and indicated that he is going to not just restore the previous sanctions, but make them harder. Trump’s declared aim has been to stop Iran exporting any oil – oil is, of course, the largest single source of revenue in Iran – so that would potentially have a devastating effect on the economy. The effect of even announcing American sanctions which have only been partly implemented, (in November this year, the full sanctions package will be implemented,) but the effect of that has made the banking situation much worse, it’s also had a bad effect on the Iranian economy, where the Iranian rial this year has lost 70% of its value, stimulating a flight of capital, and creating a very serious situation of inflation in the country. How are businesses dealing with this in Iran? Unfortunately, many companies have decided to leave Iran. Total, the French energy giant is one of the most conspicuous, British Airways has halted it’s flights to Tehran, Jaguar has mothballed their showroom in Tehran, and I think the same is true for Lotus Cars. Who are Iran’s trading partners? 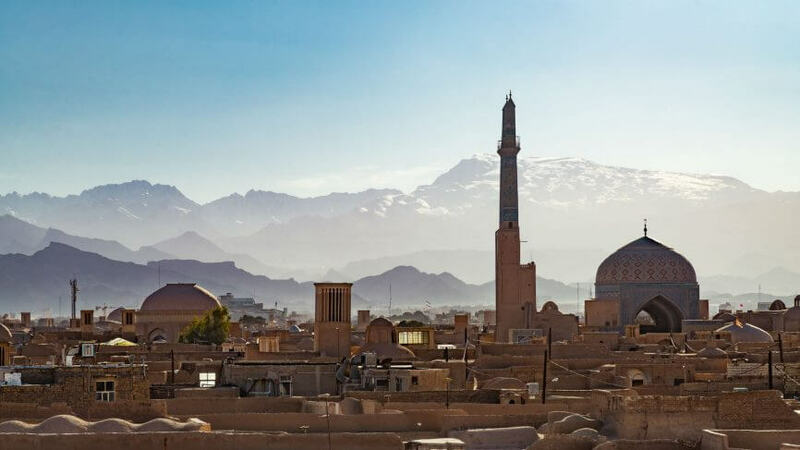 British trade with Iran is much less than that of France, Germany and Italy, but that’s’ the unfortunate situation – small and shrinking trade. In terms of the current economic relations between UK and Iran, trade is at a very low level £400mn, Germany, Italy and France are trading at magnitudes of this level. Britain and Iran: A Schizophrenic Relationship? Britain historically has had quite a close relationship with Iran – close but not that friendly. Simply because of the legacy of times past, particularly with influence (or manipulation) from Britain. As a consequence of Britain in the past, having been involved with (as they see it) meddling in the politics of Iran, Iran didn’t achieve independence it one minute. You recently criticised Trump’s use of “weapon of sanctions” against Iran, Russian and Turkey” – how has it changed the level of trade, or is it likely to danger the international trading system? I think the effect of sanctions will be to inevitably drive Iran further towards Asia, China and India and possibly towards Russia. This is rather ironic because I think one of the reasons Iran did the nuclear deal in the first place was because they wanted to orient towards Europe trade wise, compared to their heavy involvement with China. However, China is a huge investor and trade partner of Iran, so that’s what I think will be the major impact on the situation, driving around further into the hands of the Asians. I think that as a result of political tensions, Trump has managed to create an alliance of political nations. The Russians are not historically popular in Iran either, thought to have interfered with the country after all. Given that Mr Trump has torn up the JCPOA, how is this likely to affect UK Private companies? Britain is one of the E3 Countries which negotiated the Nuclear deal with Iran; and the E3 countries (Britain, France and Germany), have taken a different position from the US; the whole of the EU (with E3 acting on their behalf) believe that the JPCOA should be maintained. This has been a somewhat surprising breach with American policy, E3 and Iran have maintained the JCPOA and now Britain and other countries have passed blocking legislation which prevents UK or European companies cooperating with US judicial authorities over sanctions matters. Britain even provides for those who have suffered loss as a result of sanctions to take legal action, and cooperation with the judicial authorities is made a criminal offence in Britain – so that’s the first thing the UK did. But this doesn’t solve the problem by itself. Its necessary to take further measures to try and safeguard this trade as much as possible, and the government have been working with European governments on several initiatives to protect payments and banking channels between Europe and Iran. Of course, Donald Trump’s secretary of state, Mike Pompeo, said he was “disturbed and indeed deeply disappointed” by these plans. But whilst the US has shown quite a lot of hostility to these initiatives, Iran has been doing certain things to get itself removed from the financial action task force. I think today it’s going to be announced whether they’re still on the blacklist – the Iranian government has passed 4 sections to deal with AML and coucounter-terrorism, but whether the detail measures up to what’s passed, versus what’s required, is whether the financial action plenary taskforce will conclude. What are the biggest challenges and opportunities presented by Iran’s relationship with the West? Creating a channel between Europe and Iran, and bypassing America is key to Iran progressing. Because of US sanctions, European trade is falling, companies are withdrawing from Iran, French Automobile companies who were going to make big investments in Iran have been pulling out due to this. European companies are now faced with a choice: trade with the US or trade with Iran. For many companies, the US is a much bigger market, although there will be some companies that have more business in Iran, but will still find difficulty in creating a bank. Iran does play a role as a small investor in Europe. One recent investment was into a pharma company, whereby Iran’s investment would help stabilise inflow of medicines and equipment to hospitals. I personally would have preferred a Canada style agreement, but I can understand the difficulty for the PM. I don’t think the plan will get through the House of Commons – the Government needs new ideas to sell to MPs. What about Brexit and Iran? Brexit will make relatively little difference to Iran’s trade with Europe in my opinion. Our trade with Europe is proportionally on a declining trend. This trend will probably continue. But many people feel that you can diversify trade more – Britain needs to diversify trade more. I’m a bit skeptical about whether we’ll increase exports to Asia, but we should. Germany is a country that has demonstrated this and can do that perfectly well. Iran is the sort of country that we (the UK) should be increasing our exports to. It’ll continue growing as a market, with a rising middle class, a penchant for Western brands and consumer goods. It’s important to remember that Iran is a Middle Eastern country, not an Arab country.